The Absolute Best Sushi in New YorkThe arrival of top Tokyo talent has transformed the omakase scene. 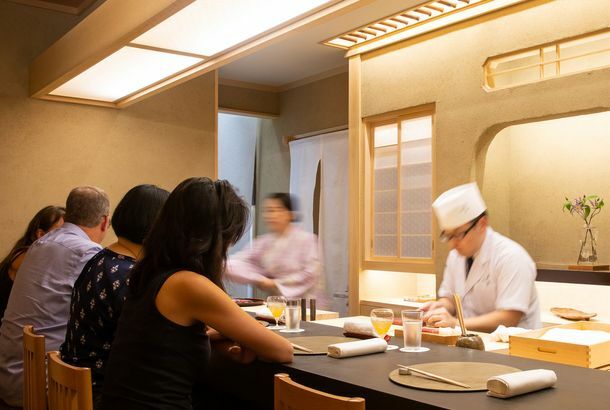 Sushi Noz Is High Sushi TheaterEverything, from the room to the performatory cooking itself, is designed to transport you straight to Japan — or an idealized version of it. The Grub Street Guide to Affordable Sushi in New YorkAll the sea bream and scallop that won’t set you back. Sushi Nakazawa Will Now Serve Some of the City’s Best Raw Fish at LunchFor high rollers who also like to tuck it in early. Soon, the West Village Will Have Two New $50 Sushi OmakasesSushi on Jones is expanding, while its former chef is opening a similar concept of his own. 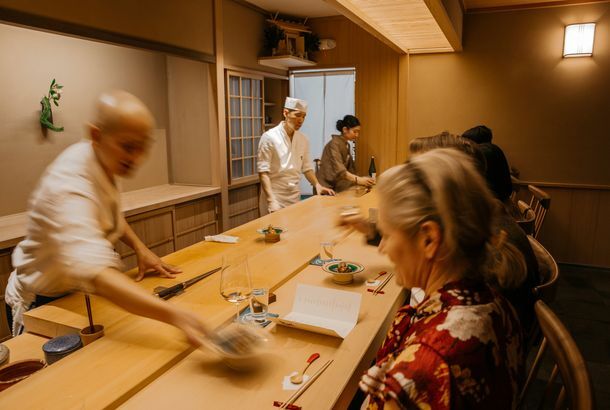 Review: Ichimura Loses Some Charm After Declaring Independence From BrushstrokeThe pleasures of this stilted, slightly off-key reboot might be too subtle for some. One of New York’s Original Sushi Masters Is Back in ActionToshio Suzuki helped introduce nigiri to New Yorkers at Sushi Zen, and he’s returned with a multi-concept restaurant. MLB All-Star Negotiates ‘Unlimited Sushi’ Into Japanese Baseball ContractThis may be the best contract demand of all time. 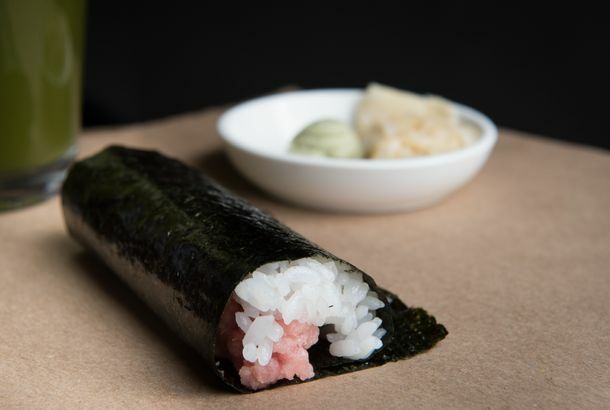 Sugarfish Team Opens KazuNori in NYC With a Focus on Affordable Hand RollsWhere to find a very quick sushi meal for just under $30. Nestlé Is Making Kit Kat ‘Sushi’ Bars in JapanTwo of life’s biggest cravings finally available as one. L.A. 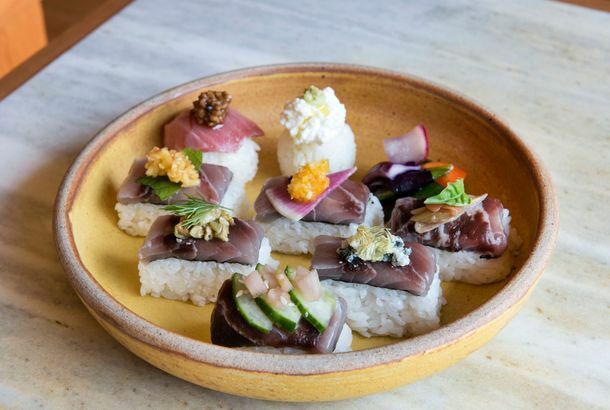 Import Sugarfish Wants to Democratize the Fine Art of OmakaseThe Shake Shack of sushi does an admirable job navigating a middle path between the cheap (often fake) deli experience and the high-roller omakase. Half the Fish in L.A.’s Sushi Restaurants Aren’t What You OrderedA four-year study discovered anything that’s not tuna or salmon is pretty iffy. L.A.’s Beloved Sushi Restaurant Sugarfish Is Now Open in New YorkIt’s super affordable, without sacrificing quality. A Story of Incurring Serious Debt for Next-Level SushiImagine these diners’ shock when the bill arrived. A Sushi Yasuda and Nakazawa Chef Is Behind NYC’s Latest Luxe Omakase RestaurantAkashi opens in the West Village next week. You Should Not Spend 25 Minutes Organizing Your Sushi Into Perfect MosaicsBut the rest of the internet is apparently going to. How Daisuke Nakazawa Became One of America’s Most Celebrated Sushi ChefsHe talks about his sushi style and training under Jiro, and eats at Katz’s. Masa Ditches Tips, Raises PricesDinner now costs $595 per person. 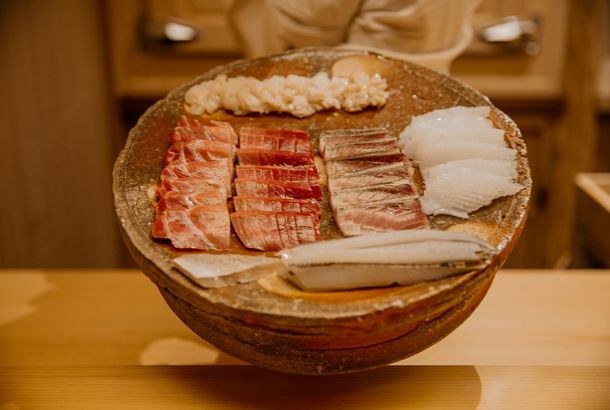 Kosaka Is New York’s Newest Luxe Omakase DestinationChef Yoshihiko Kousaka used to work at Jewel Bako. Where to Eat the Best Sushi in NYCThe places to go for the city’s finest rolls, omakase, and more. An Acclaimed Sushi Chef’s Fight Against the DOH Cost Him His JobDavid Bouhadana’s petition is going strong, but he will have to find somewhere else to work. Celebrated Sushi Chef Petitioning DOHDavid Bouhadana’s restaurants have been closed since October 22, and now he’s taking to Change.org to rectify that. World’s Kindest Sushi Restaurant Gives ‘Lonely’ Customer aThis is sweet. Bad Sushi Causes Latest Salmonella OutbreakThe tuna is lurking in restaurants and grocery stores. 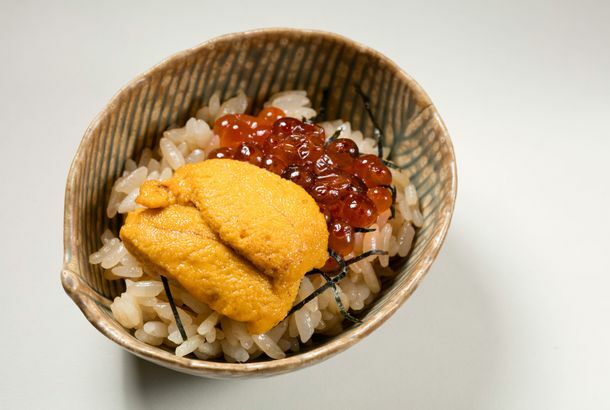 Boston Import O Ya Is New York’s Newest Omakase OptionThe 18-course tasting menu costs $185. 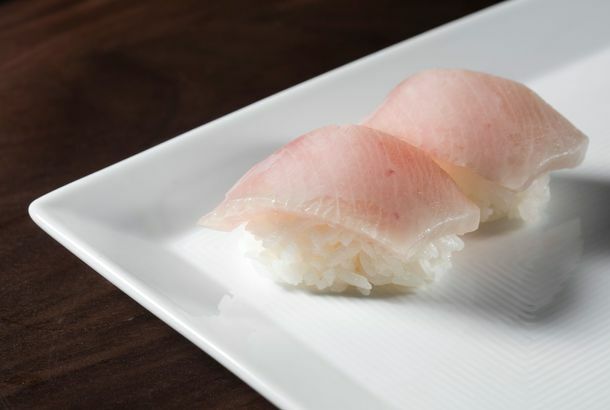 A Proposed New Health Department Rule Could Ruin New York’s Sushi SceneChanges to the code will require fish served raw to be frozen beforehand. 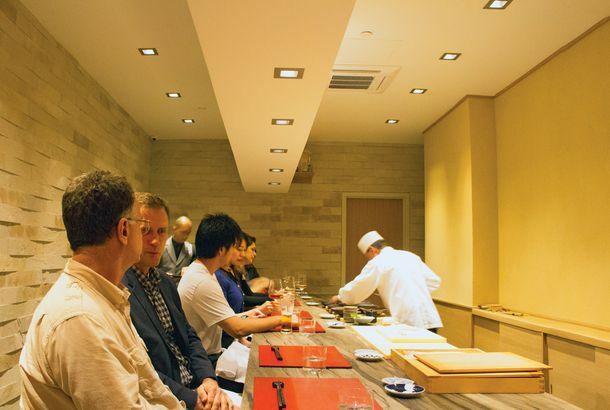 Sushi Nakazawa Will Open a West Village SpinoffThe unnamed spot will have a $125 tasting menu. Restaurant Review: Shuko’s Omakase Surprises and DelightsNo expense has been spared to track down the kind of trophy items that sushi snobs covet. 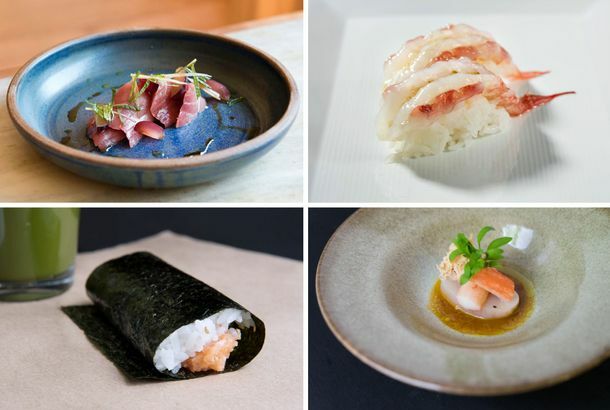 A Full Look at Shuko’s Sushi Kaiseki, From Start to FinishThe 17 sushi bites are just part of the $175 feast. Restaurant Will Pay $28K Fine After Knowingly Serving Whale MeatThe makers of The Cove helped undercover agents order the sushi back in 2010. Watch a Tokyo Chef Explain the Rules of Eating SushiDon’t even think about putting that pickled ginger on the fish. Here’s a Cat Eating a Lovingly Prepared Sashimi DinnerIt’s a two-course meal. Haru Closes in Times Square, But Will Reopen Tomorrow (in Times Square)That was fast. Chefs in California Fight for the Right to Cook Without GlovesThe sushi chefs aren’t having it. 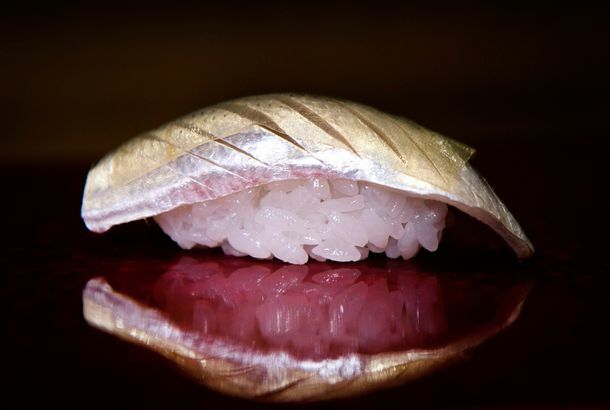 Watch This Japanese Chef Make Very, Very Tiny SushiEach micro-bite is served on a single grain of rice. Hibino’s Long Island City Branch Opens This MonthIt’s almost obanzai time. California Bans Workers From Touching Food With Bare HandsLoopholes will allow sushi chefs to keep going without gloves. Restaurant Owner Thwarts Robbery With Sushi KnifeIt was the third time the robber had targeted the sushi restaurant. Neta Loses Co-Chefs Nick Kim and Jimmy LauThere’s no word on their replacement. New York’s Dynamic New Wave of Omakase-Style RestaurantsEntrusting your meal to the whims and talents of the chef.